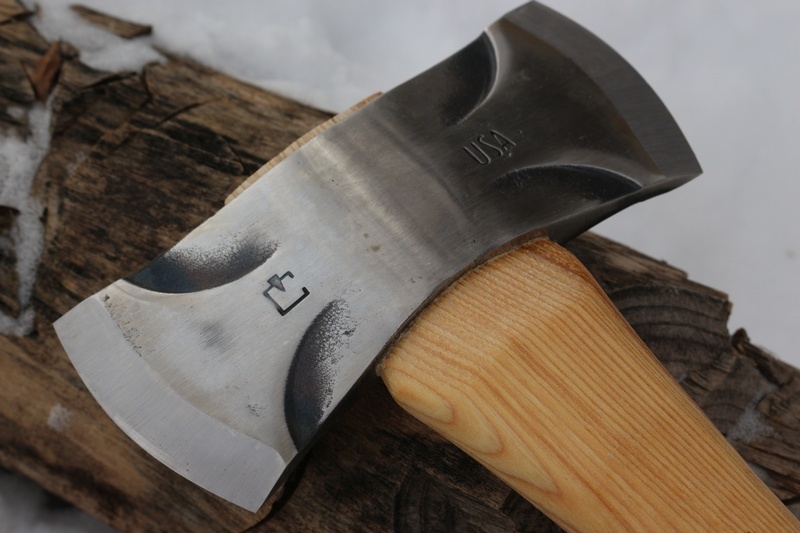 Council Tool Company have been making axes since 1886 and their latest line of axes incorporates all the accumulated skill and craft of that history. The Saddle axe is a double bit axe made fom 5160 carbon steel hardened to 54/56 HRC, drop forged to increase metal density. The left hand blade is for shaving and finer work (25deg angle) and the right blade for splitting etc (32deg angle), the handle is a robust straight cut Hickory and the cheeks have the low friction 'Phantom bevel's'. 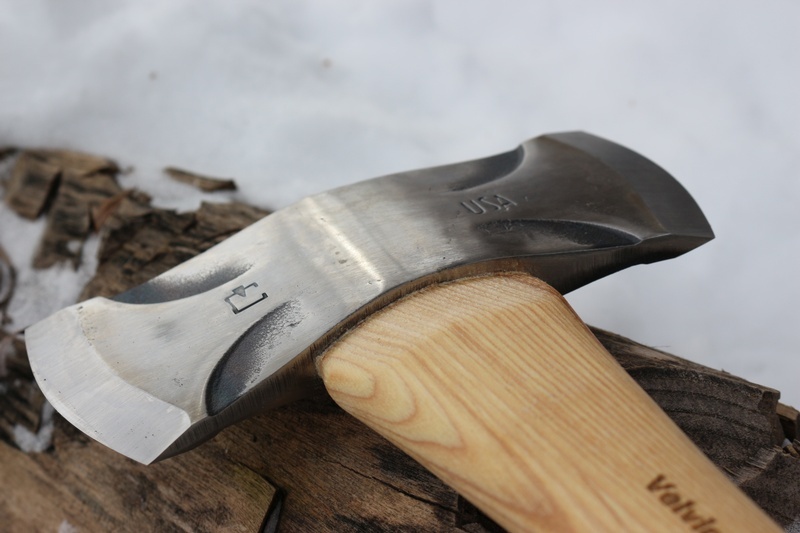 Overall a very well made and quality axe, great for a variety of work, bushcraft, survival and many varietys of woodcraft~ and all in a portable paclakge. Head weight 2LBs...OAL 15inches...Head span 7in....Cutting faces 3in. 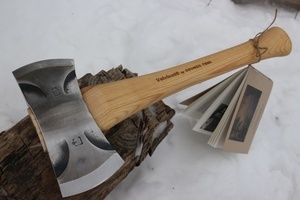 The New Velvicut Premium Saddle Axe is a 2LB Double Bit Axe on a Select 16” Hickory Handle. Pack Less with More Possibilities. 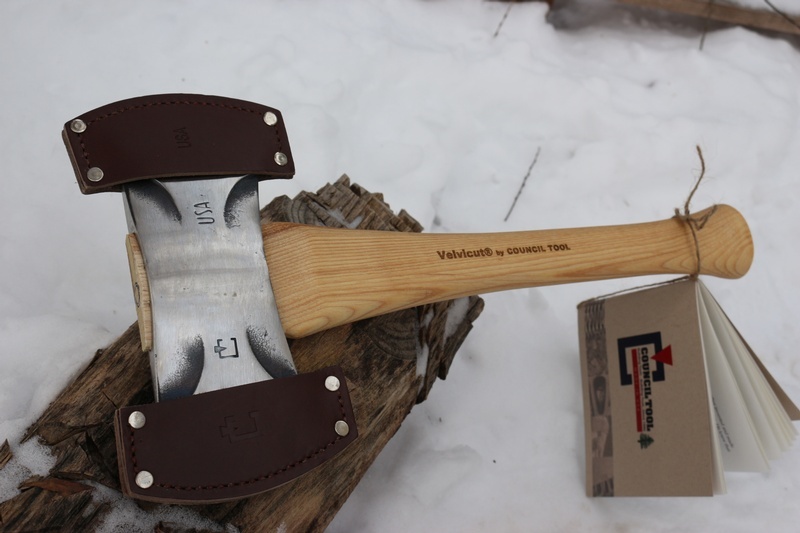 Purchase through PayPal by using the "Add To Cart" button above or use the form below to order the Council Tool Company Velvicut Saddle Axe . Feel free to contact us if you have any questions about the Council Tool Company Velvicut Saddle Axe .